When Irene America discovers that her husband, Gil, has been reading her diary, she begins a secret Blue Notebook, stashed securely in a safe-deposit box. There she records the truth about her life and her marriage, while turning her Red Diary—hidden where Gil will find it—into a manipulative farce. Alternating between these two records, complemented by unflinching third-person narration, Shadow Tag is an eerily gripping read. When the novel opens, Irene is resuming work on her doctoral thesis about George Catlin, the nineteenth-century painter whose Native American subjects often regarded his portraits with suspicious wonder. Gil, who gained notoriety as an artist through his emotionally revealing portraits of his wife—work that is adoring, sensual, and humiliating, even shocking—realizes that his fear of losing Irene may force him to create the defining work of his career. This is a book that is, in some ways, ahead of its time. A few years, Gone Girl hit the shelves and the country was captivated (I, personally, couldn't finish it, but whatever). This book, however, came out a few years previously and it tells the story of a couple wracked by distrust far more effectively. Make no mistake, this is not a "thriller." Instead, it is a nuanced family drama with well-rounded, but flawed characters. It is also a testament that this particular story can be told in a non-sensational way and be as, if not more, effective. I found both Irene and Gil to be realistic, relatable, and deplorable--all at the same time. Every marriage is different, so this isn't a case of just "a married couple getting to that point." 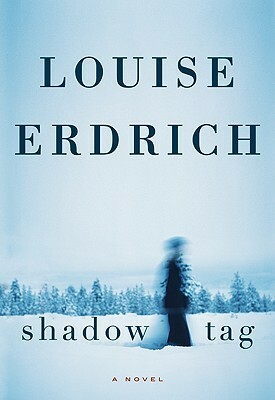 Erdrich expertly shows how a once happy couple could get to the point where neither trusts the other. There isn't one thing that led Irene and Gil to their current state, but a series of little things--things that could happen to any couple and things that are not especially notable, except for the way that they are handled. I went in to this book knowing that it was a troubled marriage, but I wasn't prepared for how troubled it was. I can't say that I could take either side in this relationship. I was also never sure how the story would end--in fact, I was flabbergasted when I got to the last page. It is always a good thing when a book keeps me guessing (it happens so infrequently these days). As is the norm with Erdrich's book, the Native American experience runs through the narrative. I find this to be one of my favorite aspects of Erdrich's writing and definitely a highlight of this book. When we talk about different ethnic groups in America, I always feel that the Native American population is underrepresented, so I'm grateful for Erdrich and her work. This was not what I would call an enjoyable book. It was frequently stressful, but it was also nearly impossible for me to put down. And it was a refreshing change to see an author tell a gripping tale simply by telling a story, and not blowing it up with unneeded thriller-y details.